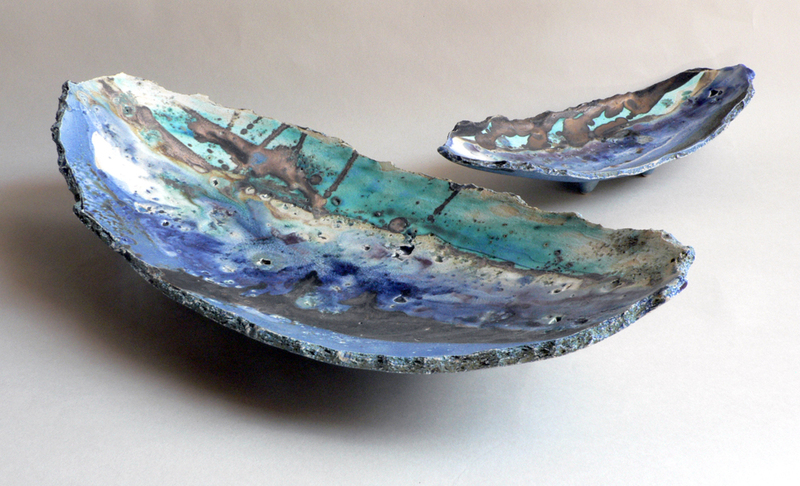 Sculptural/decorative stoneware ceramic range, including open ‘platter’ forms and wall-art. 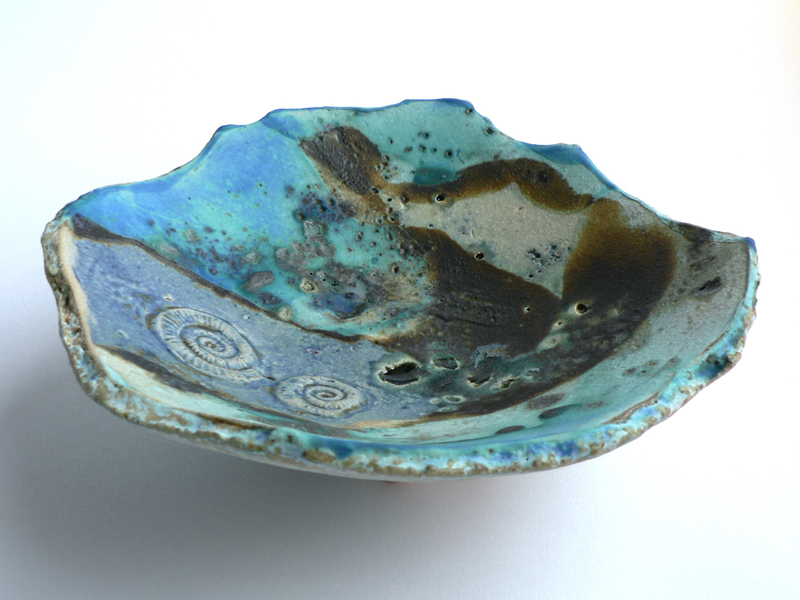 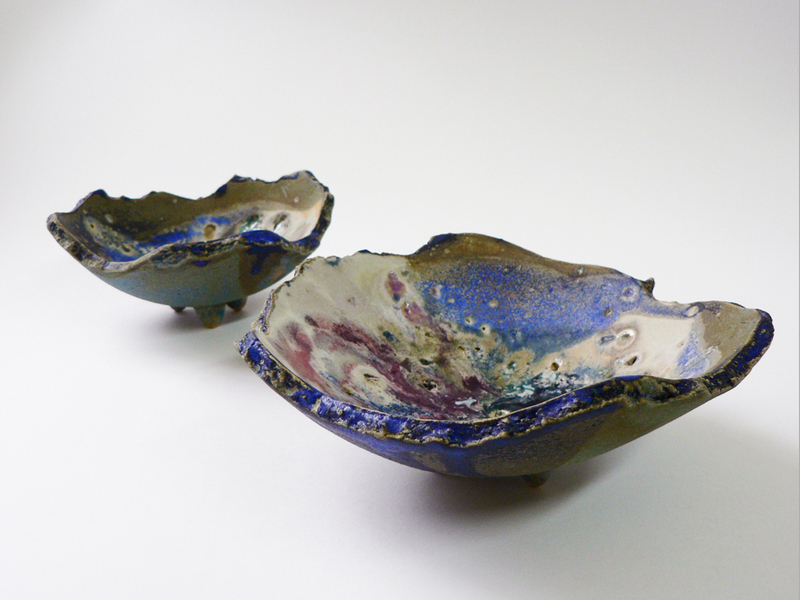 Recycled glaze is embedded into craggy stoneware clay prior to building and firing. 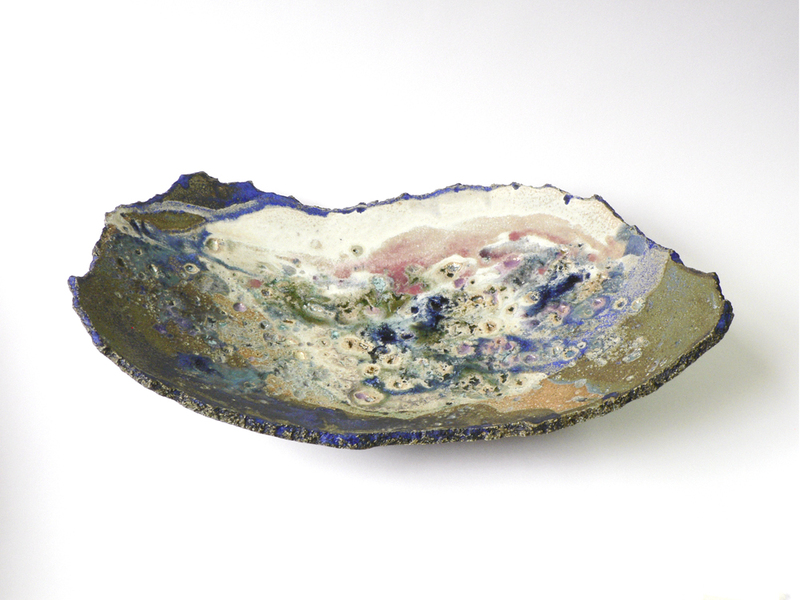 Multiple satin and matt glazes and bronze pigment are applied, followed by firing to 1250C. 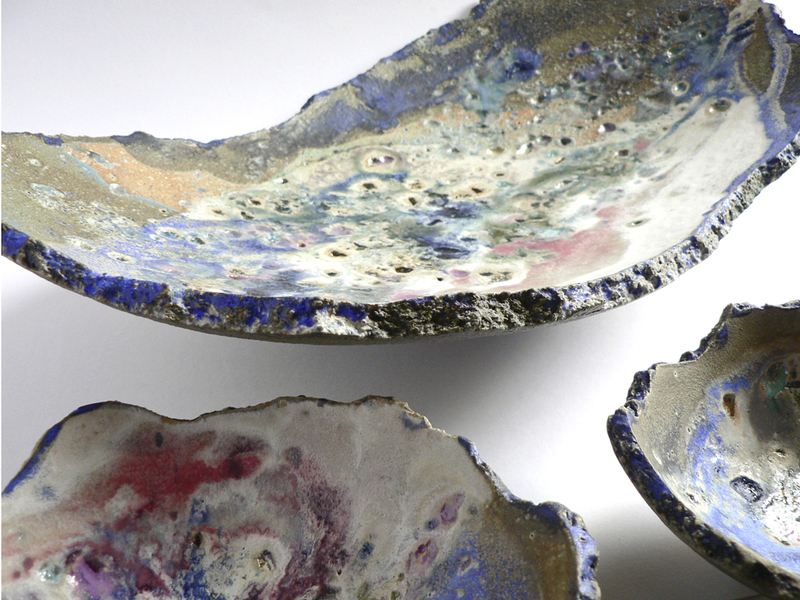 The recent addition of volcanic/crater glazes to some of the pieces adds further visual and textural richness. 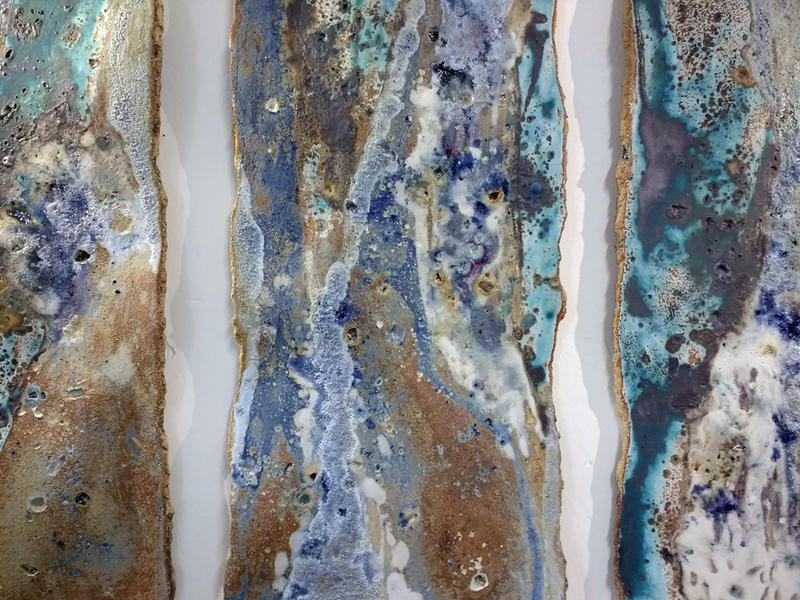 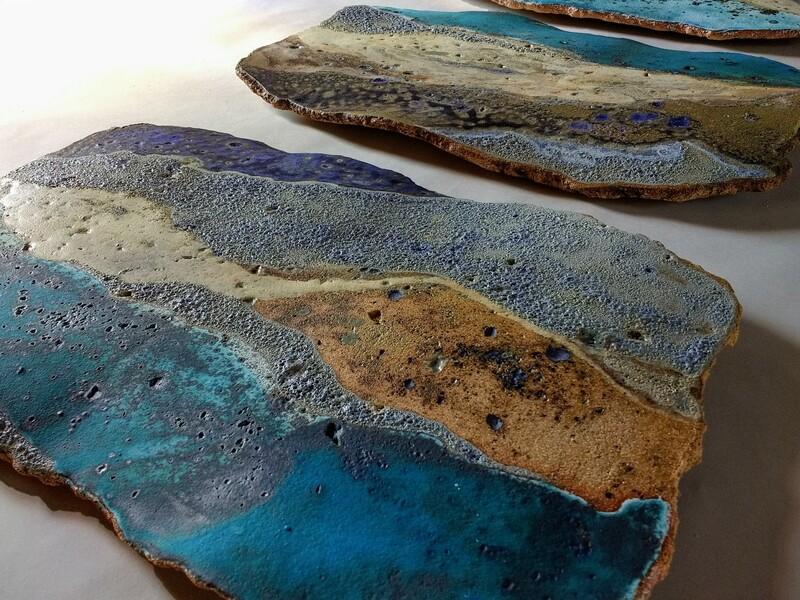 The resulting pieces have a richly coloured and pitted surface, reminiscent of geological layering and wild, craggy coastline.